Discount Tire, America’s largest tire and wheel retailer, and sponsor of the Formula D Discount Tire/Falken Tire Nissan S13, announced Season 2 of Behind The Smoke, its hit GTChannel web video series featuring Formula D champion Daijiro Yoshihara. The first webisode of the new season will premiere April 14 on GTChannel’s YouTube Channel. GTChannel’s cameras will follow Yoshihara throughout the 2012 season giving fans an exclusive look into the life of this world renowned Formula D driver. On track action and off track adventures will be chronicled in 21 videos with a new episode appearing each week. Behind the Smoke is a weekly web video series produced by GTChannel in association with Discount Tire. First launched in 2011, Behind the Smoke is the first Drift racing reality series to cover the extreme motorsport and one of its most notable driver personalities. The premier season attracted 1.5 million unique views with an average of 50,000 views per episode. A playlist for Season 1 is available at http://tinyurl.com/3ebnfrx. Discount Tire, a long standing North American Drift supporter, has been the primary sponsor of Yoshihara since 2009 and the exclusive tire and wheel retailer of the Formula D Championship series for the past eight years. Discount Tire also sponsors the tires.com Triple Crown, which is made up of three regular season Formula D events. The driver with the highest combined score from Road Atlanta, Evergreen Speedway and Irwindale Speedway receive a $10,000 cash prize. 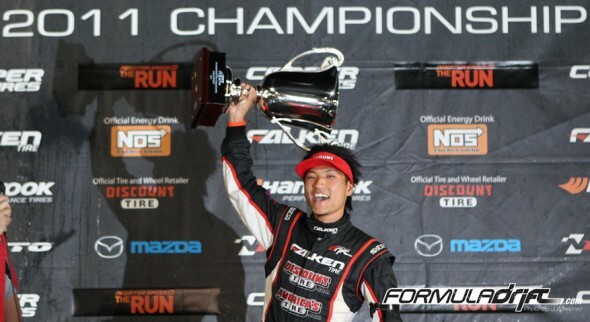 In addition to winning the Formula D championship, Yoshihara also won the tires.com Triple Crown in 2011, marking the first time in Formula D history that a driver took home both the Formula D series championship and the tires.com Triple Crown title in the same year. 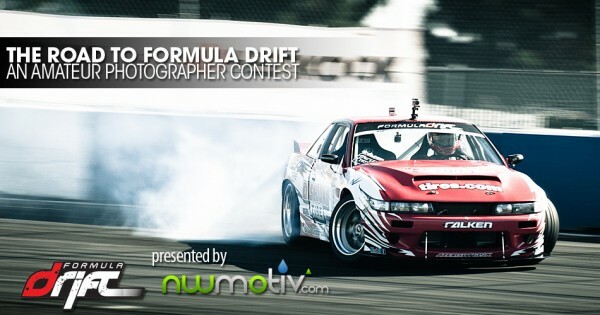 Long Beach, Calif. – February 23, 2012 – Formula DRIFT is proud to re-sign Nitto Tires as a Major Sponsor for the 2012 Pro Championship Series. Nitto Tire will be on-site at each event as a sponsor of the Series as well as competing with their drift team. The Nitto team will compete on the NT05 tire. For 2012, Nitto will be sponsoring Joon Maeng with the Nitto Tire / Mazda RX-8, Matt Powers with Need for Speed / Nitto Tire S14, Michael Essa with the GSR Autosport / Nitto Tire Z4, and lastly a new addition to the Nitto Tire team, Toshiki Yoshioka with the RS-R / Nitto Tire S15.